Official 2019 Bowl for Kids' Sake website coming soon! Bowl for Kids' Sake is a fun and easy way for you and your company, friends, or family to support the life-changing work of Big Brothers Big Sisters. If you care about kids and can spare an hour to have fun with your friends, then Bowl for Kids' Sake is for you! 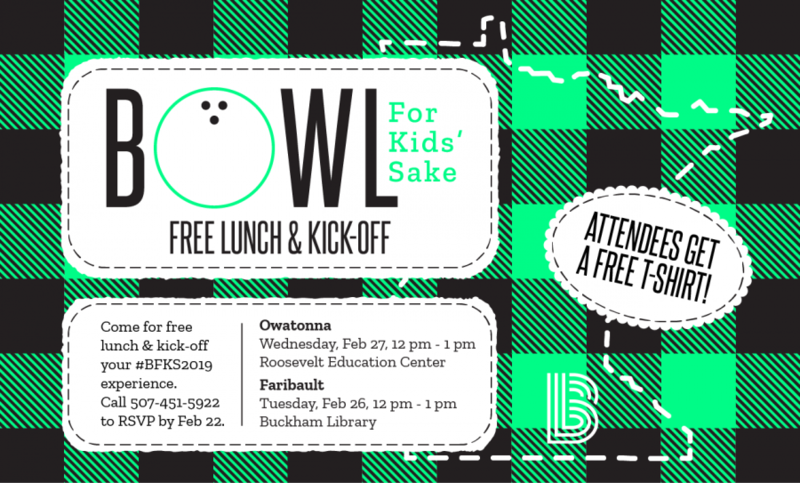 For questions please contact Michelle at michelle.redman@bbbsofsouthernmn.org or call 507-451-5922.